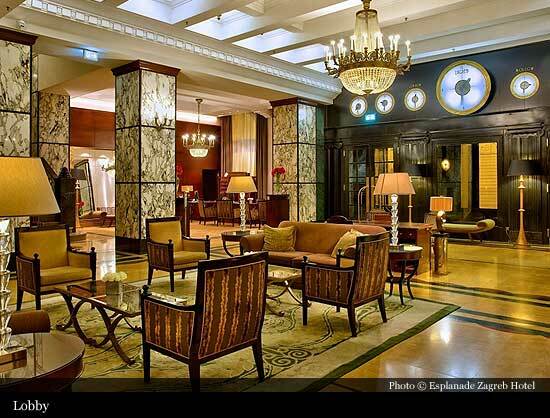 At the beginning of the 20th Century, the two best-known inns of the time became too small for the increasing number of travellers arriving in Zagreb on the famous Orient Express train, making the building of a new luxurious hotel a necessity. The construction of the new hotel, named the Esplanade, was completed in just twenty-six months. 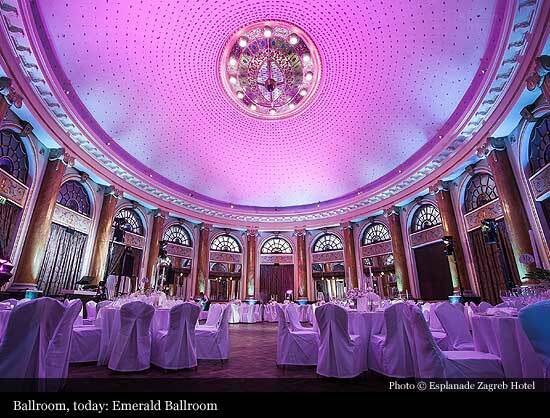 Nearly 200 distinguished guests attended the gala opening on the 22nd of April 1925. 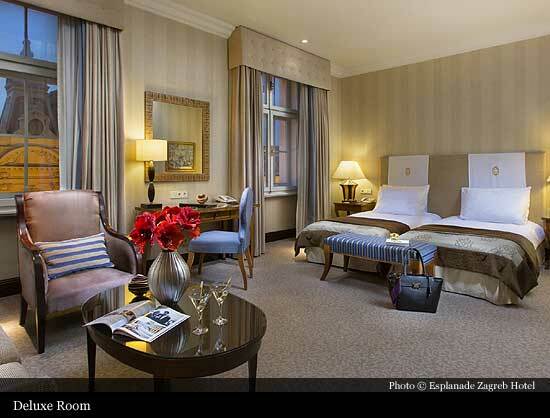 A few days later, the hotel swung open the doors to its first guests, among them was a certain Mr. Glück. Since “glück” in German means “luck”, and the opening had been such a huge success, it was hoped that a bright future was in store. Indeed. Those first visitors had nothing to complain about. 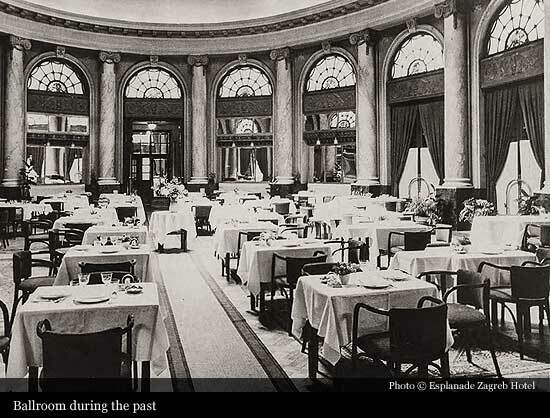 Two hundred rooms with hot and cold running water, one hundred bathrooms, a telephone in each room, numerous suites and lounges, a dining room offering delicious cuisine, were at their disposal. The mystique and charm that the Esplanade gave to the public can best be described by the following statement, “Being at the doorstep of the Esplanade was an event worth mentioning to the grandchildren”. 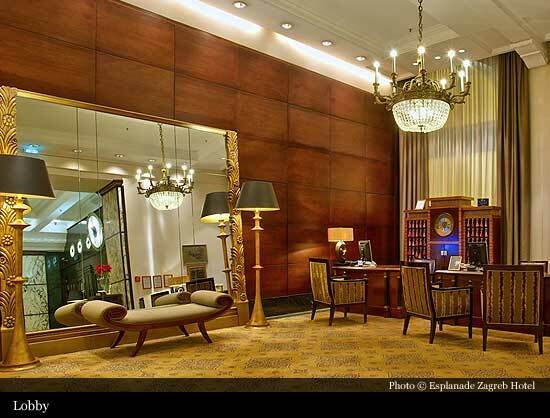 Generations and generations talked about the elegant and mystical premises of the hotel with awe. During the early years, the Esplanade’s most frequent visitors were journalists who were constantly searching for interesting people and special events. The Esplanade balls were the most attractive of all, and were for many years the biggest social event in the town. The Esplanade hotel also acquired some literary notoriety by becoming an ideal setting for love affairs in contemporary writers' novels, since it, as it was said, “attracted dissatisfied wives and their lovers”. Also, the first striptease in the country occurred at a farewell party given by an Italian count when certain ladies took off their shoes and clothes and remained in their underwear. 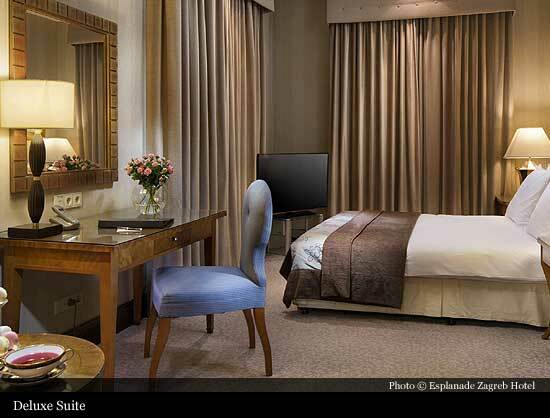 This “most fashionably appointed hotel of Central Europe” attracted many famous personalities. One of the first famous guests was silent-movies star Asta Nielsen and stage and screen actress Gitta Alpar, whose fans besieged the Esplanade hotel for hours. Similar crowds awaited the arrival of the "black Venus", the queen of the Parisian cabarets, Josephine Baker. The list of famous guests includes the European king of shoes, Bata, the greatest screen lover of the 1920's, Vladimir Gajdarov, Lady Ashby, chairwoman of the International alliance for Women’s Rights, Charles Lindbergh, the man who first flew over the Atlantic Ocean, and French writer, Jules Romains. Even royalties chose to spend some time at the hotel, the King of Spain, Alfonso XIII, the extremely rich prince of Nepal and the former King of Egypt, Abbas Hilmu, were all on the Esplanade guest list. In 1941, during the first days of foreign occupation, the hotel was completely empty ; the last guests disappeared without a trace and German officers arrived. 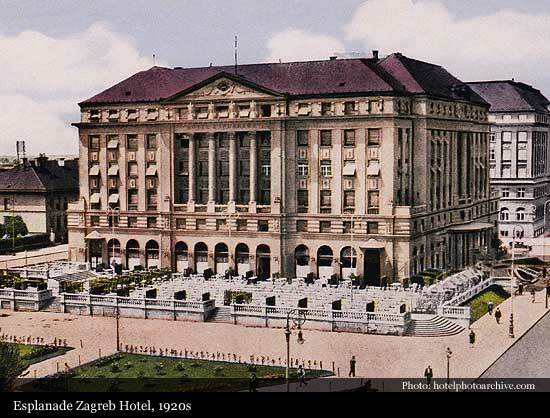 The Esplanade became the Gestapo’s and the Wermacht’s headquarters in Zagreb. Nevertheless, there were some remarkably happy moments as well, such as the guest performance of famous opera singer, Beniamin Gigli. 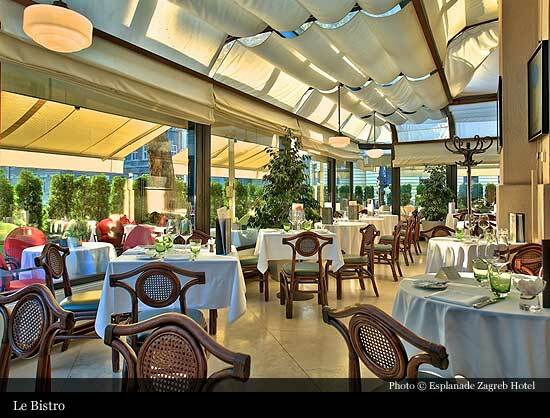 After the Second World War, the hotel was turned into a public kitchen, but at the beginning of the 1950's the hotel underwent its first reconstruction. In time for the re-opening in 1957, the famous Italian tenor, Mario del Monaco and his wife were among the first guests to pay homage to the rehabilitated hotel. 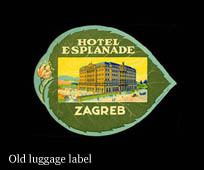 Few years later, the Esplanade hotel joined the Inter-Continental Hotel Corporation. 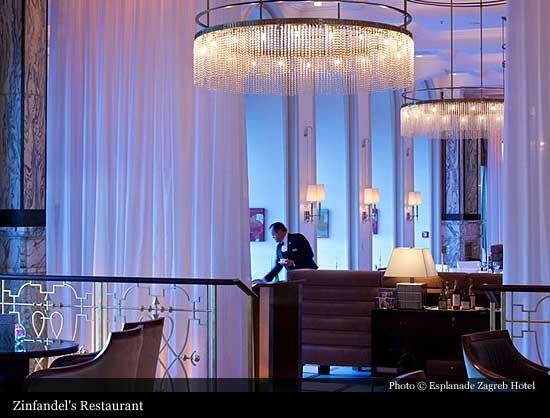 Entering the high society of the best hotels in the world marked the beginning of Esplanade's golden years. 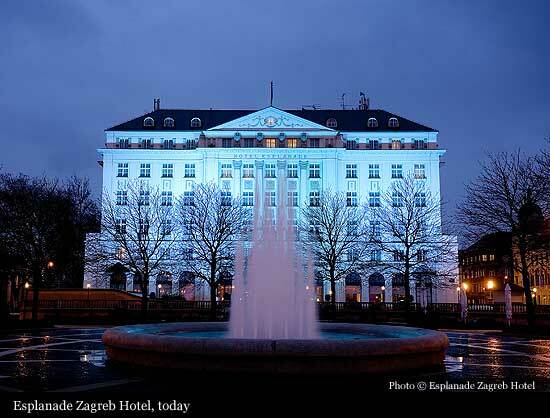 The Esplanade Hotel became the centre of social and cultural life of Zagreb, in which numerous events, symposiums, fashion shows, culinary competitions and gastronoic events were held. 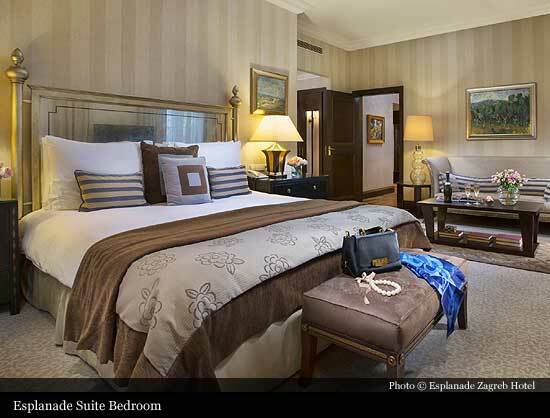 During the past forty years, a number of famous guests have chosen to stay at the Esplanade: Giuseppe de Santis, Anita Ekberg, Silvana Pampanini, Yul Brunner, Jack Palance, Rosana Podesta, Belinda Lee, Gerard Phillipe, Liana Orfei, Orson Welles, Liv Ullman, Richard Burton, Elizabeth Taylor, Laurence Olivier, Vivien Leigh, Arthur Rubinstein, Domenico Modugno, Charles Aznavour, Maria Callas, Maja Plisetszkaia, Arthur Miller, Francis Ford Coppola, Anthony Quinn, Dizzy Gillespie, Louis Armstrong, Ella Fitzgerald, Aran Khachaturian, Henryk Szeryng, Pele, Kurd Jurgens, Yves Montand, simone Signoret, Stuart Granger, Errol Garner, Ike and Tina Turner, Joan Baez, Cliff Richard, Gian Maria Volonte, Mikulski, Pablo Casals, David Ojstrach, Clay Regazzoni, Nelson Piquet, Bobby Charlton, Ingemar Stenmark, Irina Rodnina, Fats Domino, Rudolf E. Peierls, Morgan Fairchild, Bob Guccione, Woody Allen, Catherine Deneuve, Gary Oldman, Armand Assante, Michael York, George Soros, Eva Marton, Juan Antonio Samaranch, Sadako Ogata, Lucia Aliberti, Gary Kasparov, Susan Sontag, Eros Ramazzotti, Alain Finkelkraut, Jane Seymour, Omar Sharif, Paolo Coelho, B. B. King, Pierce Brosnan, Zubin Mechta and several others. Various diplomats and world statesmen also came to the Esplanade: Queen Elisabeth II, Nikita Khrushchev, Leonid Breshnev, Richard Nixon, Prince Sihanuk, Amintore Fanfani, Aldo Moro, Milton Obote, Gamal Abdul Nasel, Edmund Kohl, James William Fulbright, Henry Kissinger, Andrej Gromiko, Dr. Rudolf Kirschleger, Matteoti, Mario Soares, Maurice Couvre de Murville, Aldo Moro, Martin Torrijos, Allain Juppe, Francesco Cossiga, Perez de Cuelar, Princess Maha Chakri Siridhorn, Tugut Ozal, Suleyman Demirel, Hans Dietrich Genscher were among other distinguished guests who signed the Esplanade guestbook. Of course, some celebrities, statesmen, and politicians passed through the hotel incognito.